That Used to Be Us: How America Fell Behind in the World It Invented and How We Can Come Back, 2011, Thomas Friedman & Michael Mandelbaum. This brand new book was recommended to me by a coaching colleague, Priscilla Binder. As our year winds down, I’ve been reading more of these books that address our country’s economic situation -because of the ripple effect on people’s lives and careers. Friedman’s book is probably the best I’ve read. It’s not a quick read because there is so much there – it is filled with powerful insights backed up with a wealth of research and statistics – but you will walk away thinking and possibly shifting some of your own career plans for 2012. The best part of the holiday season is time connecting with others. I’ve always found this true even when living in Norway, working full-time and raising two little ones. It’s often “wickedly busy” during the early part of December but the closer it gets to Christmas Day, the quieter work becomes here at the office. That’s my time to connect with others – for coffee, lunch or a simple chat on the phone. And I find that’s generally true for others as well – fewer meetings are scheduled, workloads ease off a bit and people can catch their breath. Pick up the phone each day and call a favorite client to just say hi and wish them happy holidays. Keep it simple and genuine. You’re not asking for anything. You are just reconnecting. People like to know that others are thinking about them. I like it as well – you can give me a call too! Tired of the same old holiday gifts this season? Try this delicious change. Give a special friend or family member an opportunity to work with an experienced professional career & life coach over the next three months. Coaching is results-oriented, fast-moving and incredibly powerful. Know that you are helping someone that you really care about create the life they truly want in 2012. What a great way to jump-start the New Year – there is no better gift than that! This is the best part . 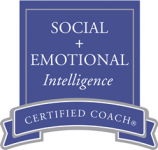 . . for the month of December all my coaching price options are reduced by 20% for the first person on your gift list. For the second person on your list it’s a 50% discount. Several of these coaching options are for three months, so your savings is significant. And that first or second person could be you as well! Here’s how you do it . . .
Go on my website www.CareerConnectionsSN.com and click on the tab “Coaching”, then from the dropdown menu, click on “Individual Coaching Options”. Or click here: Individual Coaching by Kit. Review the descriptions and select one of the options you would like to gift. Shoot me an email Kit@CareerConnectionsSN.com or call (775) 324-5151. I will take it from there! Happiest of Holidays and into the New Year, too!